EmOf course, employers know that they spend a lot of money on benefits. Your employees, however, don’t always know that about a third of their compensation comes in the form of benefits like paid leave, insurance, and retirement savings. 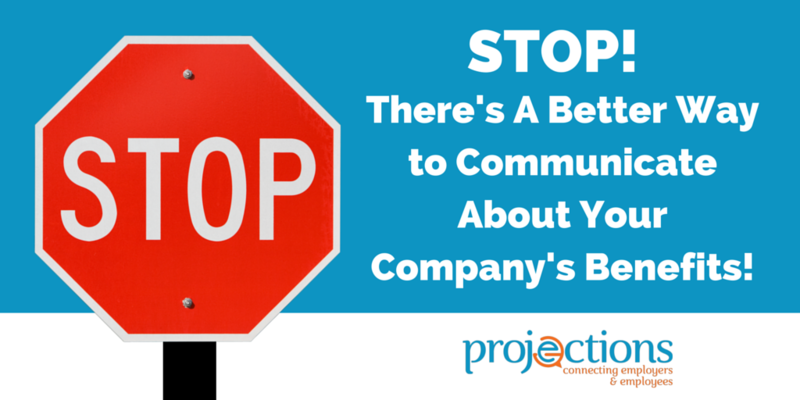 This is why employee benefits communication is so important. According to the most recent report from the Bureau of Labor Statistics, benefits accounted for about 33% of employee compensation in June 2018. The specific percentage varies by industry, but none of the studied occupational groups had benefits that made up less than 31.4% of their compensation packages. Your average employee just knows how much money he or she takes home on payday. For some employees, this situation can create the illusion that they aren’t receiving enough in return for their work. Effective employee communication – through videos, dedicated websites, and eLearning – can keep them more informed about the role that benefits play in their total compensation. Before you can create a program that educates workers, though, you need to know how to approach the topic in the right way. Telling your employees that benefits make up a third of their compensation package doesn’t always get the point across. The numbers on their paychecks feel real. Your employee benefits however, can feel far less tangible, making their total compensation feel less impressive. Online videos make it easier to reveal the unseen side of compensation packages by giving employees visual representations of their benefits and take home pay. For example, your benefits communication video might help with employee benefits communication by showing someone picking boxes off of a shelf and putting them into a cart. The first box that the person picks up represents the pay that employees receive. Not surprisingly, it’s a pretty big box that takes up more than 60% of the cart. Paid leave takes up about 5% of the cart. Insurance policies take up about 9% of the cart. Retirement and savings take up about 6% of the cart. Social Security, Medicare, worker’s compensation, and other required benefits take up nearly 10% of the cart. When employees see these numbers represented as visual objects, they get a better sense of how much the unseen side of their compensation package is worth. Online videos can seem a bit impersonal when the content doesn’t focus on their specific compensation package. A website that handles employee benefits communication by offering an interactive calculator to demonstrate the dollar value of benefits that an individual employee has accumulated over the past month, quarter, or year, however, puts the benefits – and total compensation – into perspective. When your employees can check the benefits that they get, it’s easier for them to feel that they have received something. Suddenly, the benefits don’t seem vague. They become concrete numbers that apply to each individual. Some people learn best when they can interact with information. Watching a video doesn’t match their learning preferences, so even the most effective production could miss its objective. Interactive eLearning gives employees an opportunity to learn about their benefits from direct experience. Following the example above, your online training could ask employees to choose boxes that they think represent the different benefits that they receive. When workers choose answers that don’t accurately reflect the value of their compensation, your eLearning can correct the learner and provide the accurate answers. After completing tasks, the training can summarize by reviewing the information and asking employees to select the correct boxes. This approach reinforces learning so everyone ends the training session with accurate knowledge of their true total compensation package. Looking for more ways to demonstrate value? 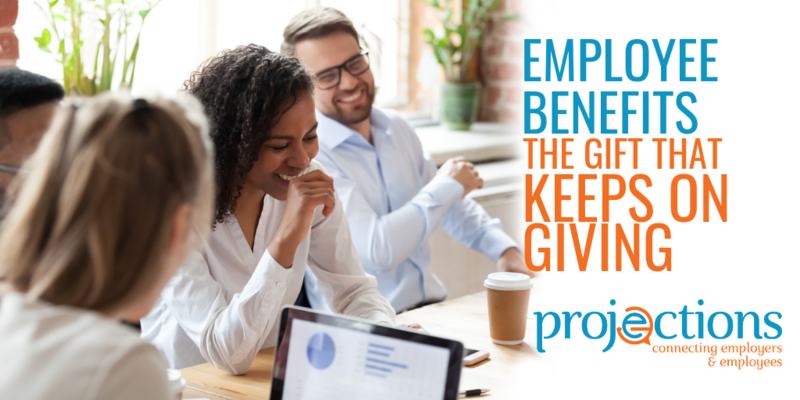 Learn more on educating your employees about their benefits by contacting us at Projections. Our team crafts expert custom video, websites, and eLearning solutions that will help you connect with your workforce, create true engagement and build your employer brand. Companies are realizing the critical connection between employee engagement and factors like retention rates, productivity and profits. As employees seek out work-life balance, many major companies are making unconventional cultural changes. Smaller business owners might feel constricted in their ability to keep up and offer competitive, quirky employee benefits; however, there are ways to transform those over-the-top perks into affordable, effective employee benefits and remain an employer of choice in your industry. Netflix reportedly keeps little watch over their employees’ work hours, with no 9-5 schedule. For small business owners, how do you ensure employees are available during periods of high volume? This extreme approach can be made more practical by creating flexibility outside of “core hours.” In this case, employees would have a set of mandatory hours in their week, while the rest could be altered to fit, thus providing a guilt-free option for employees who need to leave early or arrive late. Netflix has also gone above and beyond with vacation time, offering employees free rein over their days off. Management simply doesn’t track or control how often or when employees take time off, trusting them to make reasonable decisions. While you may trust your employees, you know a “vacation anytime” approach could lead to short-staffed situations. Instead, employers can close for the day or reduce holiday hours of operation, eliminating the resentment that often comes with working on holidays. Google provides its staff with onsite doctors, chiropractors and therapists. Undoubtedly, most businesses cannot afford this pricey endeavor, but any company can invite simple programs that benefit employee health. For example, midweek, half-hour office yoga sessions, taught by an affordable instructor, would help break up the week and refresh employees. The Institute for Integrative Nutrition employees receive fresh flowers on their desk each morning. What can regular companies do to boost the mood and atmosphere with a simple touch? Give your staff free rein to decorate their personal spaces or rearrange furniture to suit their work needs. Dedicating one day to this project each year can strengthen employee communication and serve as a fun break. Every employee dreams of having college tuition paid for in full, which is just what Starbucks does for those staff members who want a bachelor’s degree. Unfortunately, education isn’t cheap and most young employees will change jobs several times in their early professional life. However, you can offer relevant employee training for leaders and supervisors through abetterleader.com. Taking advantage of its beautiful California location, Patagonia encourages its employees to take a surf break during the day. Retail Marketing Coordinator Danielle Egge says the luxurious break improves her daily productivity dramatically. While most businesses aren’t stationed by the beach, managers can coordinate running or cycling groups to encourage daily activity during or after lunch breaks. Education technology company 2U knows how to spoil its employees — with free trips to Disney World, of course. Coordinating and financing such a trip is a huge undertaking, especially for a larger staff, but simply inserting a bland employee picnic in its place won’t cut it. Instead, managers can poll the office to determine what local destinations employees want to visit. From outdoor parks to great local restaurants, employee trips will be appreciated for the time, money and effort involved in a fun day/night out. What better way to inform your employees about different cultures and build stronger teams than by traveling abroad? Epic does just that, even offering paid sabbaticals to countries like New Zealand and Germany. Your employees may not have the time to skip off into the sunset, but you can bring other cultures into the workplace. Consider inviting unique speakers with topics that appeal to your employees, or even hiring caterers for an ethnic mini food festival. As you mix up their regular environment, your employees will feel as though they’re receiving mini vacations throughout the year. AnswerLab answers tech nerds’ dreams by offering a $400 allowance for employee devices or apps. Even with a small staff these allowances add up fast, but not all apps and software are expensive. Businesses can consider holding monthly meetings in which managers introduce a new tool that can help make employees’ jobs easier. These tools can be low cost or even free, provided directly to employees or offered as an option. A step up from simple vacation time, Full Contact offers to pay $7500 toward its employees’ getaways, as long as they disconnect and actually travel somewhere. This perk, dubbed “Paid Paid Vacations,” is in addition to employees’ already paid 15-day vacation. Companies can mimic this perk by notifying employees of discount travel packages and programs throughout the year. Real Estate software company BoomTown allows employees to bring their dogs to work, calling dogs an “important part of the workforce.” Depending on your business, you might not find it safe or practical for pups to roam the workspace. However, companies can arrange a day in which the space is opened to friends and family, allowing employees to proudly show what they do. This event can also generate employment interest and help identify potential candidates. You don’t have to break the bank to connect with your employees and provide them with meaningful experiences they can appreciate. Ultimately, employees will recognize and value sincerity over flashy employee perks, and be more inclined to remain union-free — because it’s respect your staff truly desires. By 2020, millennials will make up 46 percent of the workplace. And even though they have more student-loan debt on average than any other generation by far, they’re motivated much more by non-monetary and intangible work benefits. Consider adding these benefits to your roster to improve your millennial recruitment efforts. For millennials, the days of working in cubicles from 9 to 5 are unstimulating and inefficient. They know great ideas aren’t the result of staring at white walls, and they don’t frame work within the confines of an eight-hour day. Get them on board by offering the freedom they crave. Allow remote work days, even if only twice a month, and create collaborative working spaces where they can mix, mingle and generate ideas with other colleagues. Millennials are willing to put in the hours, and they expect to be rewarded for it. Offering robust vacation packages and unlimited sick time tells them you care about their holistic health, happiness and well-being–something critical when they’re selecting an employer. It’s also crucial they feel you respect their time off, so avoid calling and emailing millennials while they are on vacation. Consequently, you’ll also improve retention. Millennials are looking for more than health, vision and dental. They know they’re more engaged and productive at work if they’re active and healthy, and they expect you to understand that, too. A monthly stipend for a gym membership or a work-sponsored exercise program can go a long way toward bringing them on board. The quickest way to lose millennials is to let them grow stagnant. Millennials are eager to learn and want to be coached along the way. Give them opportunities to learn by having them attend workshops or conferences out of the office, or participate in a one-on-one mentoring or coaching program at the office. They’ll be more fulfilled, and as a bonus, they’ll keep getting better at what they’re doing for you. Millennials have a desire to understand how they make a difference. A recent study found that millennials value producing meaningful work more than receiving high pay. Make it clear their work makes an impact by having executive leadership transparently and regularly share company updates. Then, ask managers to follow up and tell their millennial team members exactly how they helped the company achieve its goals. While fewer than 1 percent of employers currently offer unlimited paid time off (PTO), many companies are considering the flexibility and freedom that come with untracked policies. 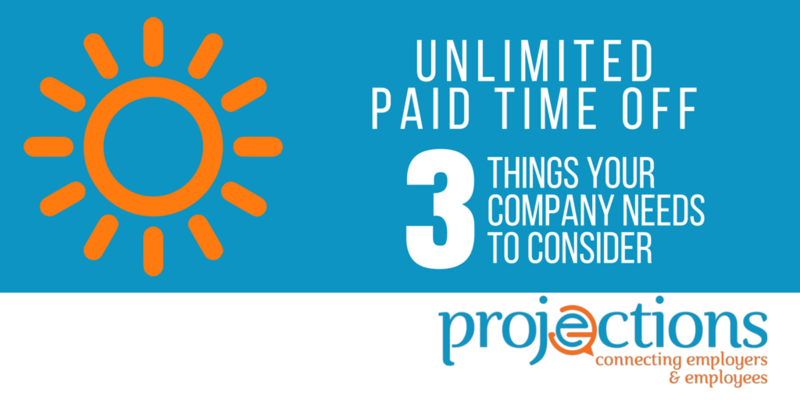 How do you know if adopting an unlimited vacation policy is right for your company? If you want your new policy to last longer than a few days, take the time to ask yourself three important questions. 1. Is the Policy Clearly Defined? Defining an unlimited vacation policy might sound backward: Isn’t the point of unlimited vacation time that it’s not defined? However, in order to be successful, the policy does need guidelines. Define the processes for requesting time off, and what is and isn’t allowed. For example, you might deem four-day work weeks an alternate work schedule, not vacation. Alternatively, taking four months off might be considered a leave of absence and not allowed within the policy. Finally, consider nomenclature. The terms “discretionary time off” and “unlimited paid vacation” might mean the same thing at the core, but they have different connotations. Consider what’s right for your team. 2. How Will You Ensure That Employees Actually Take Time Off? Taking time off is vital for employees’ health and productivity, and even for the economy. Yet unlimited PTO providers are finding employees take less time off than they did when their vacation was structured and measured. To counter this problem, Evernote pays employees $1,000 annually to take a vacation lasting five or more days. Consider ways you can be sure employees are taking off time before it becomes a problem. 3. Does Management Trust Their Teams? If trust isn’t at the center of your employee-management relationship, one of two extremes will happen: Employees won’t take any time off, feeling pressure to perform and worrying over the negative backlash of being away from the office, or they’ll abuse the system and take off too much time, letting their performance slip as a result. Either way, these problems are symptoms of a greater issue: lack of trust. 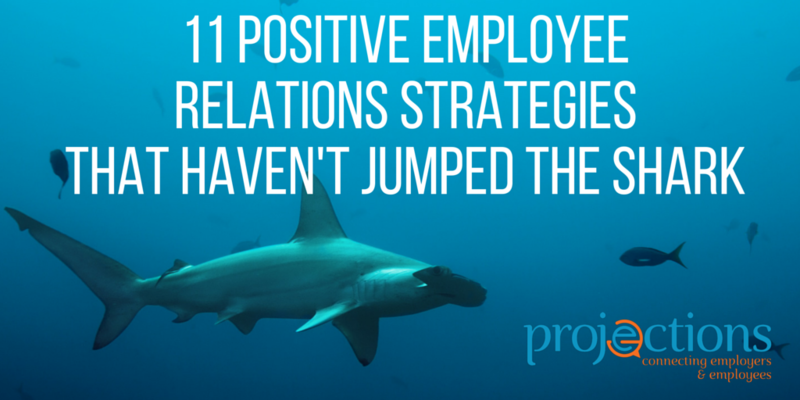 Consider whether you encourage a culture of trust before implementing a major policy change. If you decide to move forward with implementing an unlimited PTO policy, internal communication is key to the program’s launch and long-term success. Make sure you’re thoughtful and intentional with the ways and methods that you communicate about the policy change to keep morale high and maintain meaningful connections between employees and employers. STOP! You’ve Been Communicating About Your Benefits All Wrong! According to a recent study by the U.S. Bureau of Labor Statistics, an employer benefits package accounts for 30 percent of an employee’s total compensation for the year; communicating the intricacies and components of that package is both incredibly important and mind-numbingly complicated. Every year, while your employees try to get their work done, you interrupt their day to explain this complicated but vital component; odds are, they are tuning out. If you rely on the tools of the past, you won’t get the best employees in the future. Let’s take a look at how you can change the situation. The benefit statement has always been a vital tool when discussing company benefits, yet these dense, complicated documents filled with legal terms in small print have glazed over the eyes of many an employee in the past, and they are almost impossible to comprehend without a legal degree or 10-years experience in the benefits industry. Very little of the report will be retained; in fact recent studies have shown people can only focus for seven minutes at a time. The typical American worker is overworked and distracted; in the digital era, employees check their emails and cell phones 150 times a day and work longer despite wanting to work fewer hours. You might think sending an HR rep to discuss benefits will seize your employees’ attention, but you may not get the reaction you seek; even if employees attend the meeting, they’ll probably be thinking about the report that is due, their Facebook status, or one of a dozen other things. These meetings simply waste time, money, and add yet another distraction to your employees’ day. Your employees are always online; if you want to educate your staff about employee benefits, you need to engage them digitally. By creating a dedicated website for your employees to learn about their benefits, you accommodate their schedule, not the other way around. Additionally, you reach the secondary audience at home who appreciate the benefits you provide to their family. You can post custom-created videos that explain the benefits in plain language and speak to the pride of being a member of your team, all of which makes your employees and their families feel secure and appreciated. Then, when they are prepared to make their choices of benefits, they’ll find the all the links and information they need to guide them through the process, minimizing stress and mistakes. Creating a site like this is effective, but it can be costly, time consuming and difficult to achieve in-house. Turn to the experts, instead. Projections has decades of experience creating dedicated sites that truly connect with employees. Reach out to Projections by clicking here, and stop letting 30% of your compensation package go in one ear and out the other! Becoming an employer of choice is easy when you have the tools to demonstrate all your Company offers.